For couples who need assisted reproduction through in vitro fertilisation, DNA testing is a concept that allows them to 'screen' for disease prior to implantation. Today, our ability to provide molecular analysis of genes is much more advanced and successful. In vitro fertilisation is a type of assisted reproduction. When the procedure is performed, a man's sperm and a woman's egg are joined in a laboratory medium, which facilitates fertilisation. The embryo that results from the procedure is then implanted into a woman's womb and it develops naturally. Typically, several embryos are implanted at one time to encourage a higher chance that there will be success. The procedure has resulted in the term 'test tube baby' although it is not as commonly used as it was when the term first gained momentum. The technique tends to be used in women who have blocked or damaged fallopian tubes. It can also address issues such as a low sperm count for males. For couples who have been unable to pinpoint their infertility issues, in vitro fertilisation can be successful. In some cases, the implantation of more than one embryo occurs as well, which means that the couple could have twins, triplets or more children. 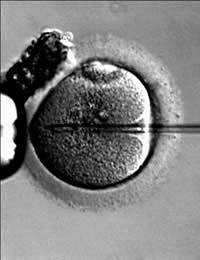 With the advent of this technology, however, new techniques have been introduced to screen the embryo for genetic abnormalities. The use of this technique for couples who want to use in vitro technology to help them have a baby means that they have a better chance of avoiding the birth of children with genetic defects. With our enormous knowledge of the human genome and DNA sequencing, we are fortunate to have this kind of technology at our disposal. Diseases such as Down syndrome and cystic fibrosis can be identified through DNA testing for couples who plan to become pregnant through in vitro fertilisation. Another benefit of this kind of screening is that it can tell researchers more about why a woman is suffering from frequent miscarriages. It can even provide clues about why genetic abnormalities seem to occur more often in older mothers. One of the biggest misconceptions around this type of DNA technology is that it will be used to create 'designer babies'. However, this is far from the case and it is a term that has mostly been coined by the media rather than the medical community. This kind of DNA testing can't identify a baby's features or their characteristics, intelligence or personality. Instead, DNA testing can help doctors to identify genetic abnormalities that can have devastating consequences on the baby. With just one error occurring in an amino acid sequence, for instance, a significant consequence can occur that leads to a genetic disease. The ultimate goal of DNA testing for in vitro fertilisation is to improve the outcomes for both the potential parents and eventually, the baby. The effects of genetic abnormalities can be extremely challenging and long-lasting, which means that identifying the presence of these diseases has become increasingly important. As DNA technology continues to advance, the process for identifying these genetic abnormalities will also likely become more efficient and sophisticated.